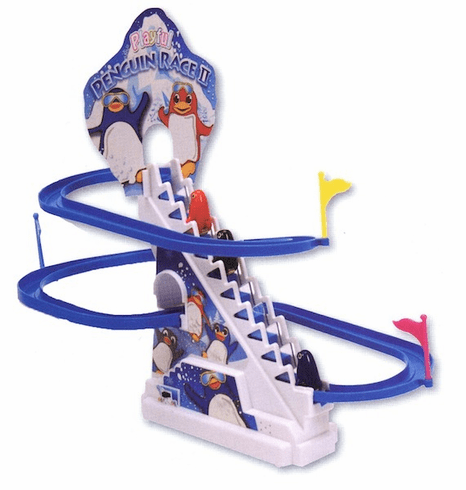 Watch as the penguins travel up the ladder and slide down the chute. What could be cuter? 1-D battery not included. Measures 12 1/2" tall.